Ko te reo te tuakiri. Ko te reo tōku ahurei. English is about connecting with others and their ideas and communicating our own. English is about exploring our identities and building relationships. English is about finding and nurturing a voice to tell our stories and developing an ear to hear the stories of others. In doing so, we begin to understand where and how we all belong. As our ideas meet and merge with new ideas, magic happens. English teaching is guided by the National Curriculum, which is made up of two documents - The New Zealand Curriculum for English-medium schools and Te Marautanga o Aotearoa for Māori-medium schools (PDF 2MB). 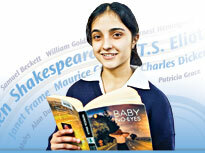 What has changed in the English curriculum? The English learning area of The New Zealand Curriculum has made explicit the move towards shared understandings and the importance of genuine personal response.